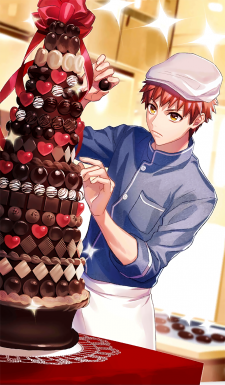 The young man who is in charge of cooking is working on making chocolates, with his gratitude towards others in mind. Try to accept the finished item, lacking in restraint though it is, with a smile on your face. What's important is the feeling of enthusiasm and gratitude.